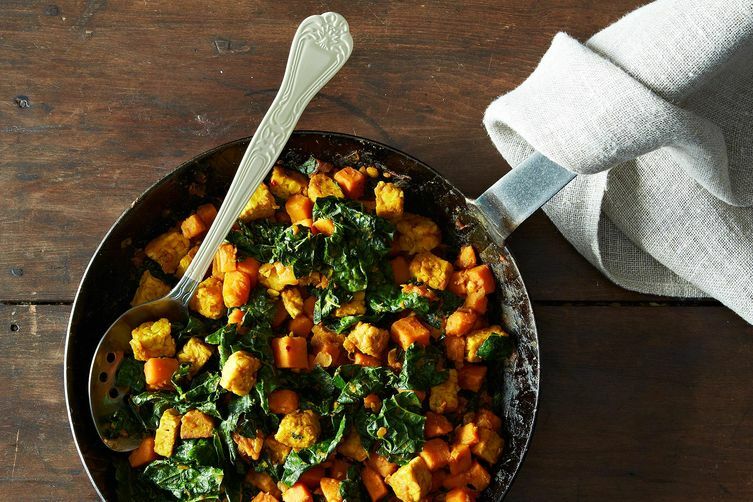 Leftover Love: Sweet Potato and Tempeh Hash with Kale for the Morning After Thanksgiving…or Anytime! Happy Thanksgiving! I hope that all of my US readers are enjoying a wonderful Thanksgiving day, full of friends, family, and (of course) food. 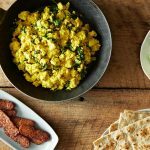 No doubt many of you are feasting already, but if you can bring yourself to think about tomorrow’s breakfast (! 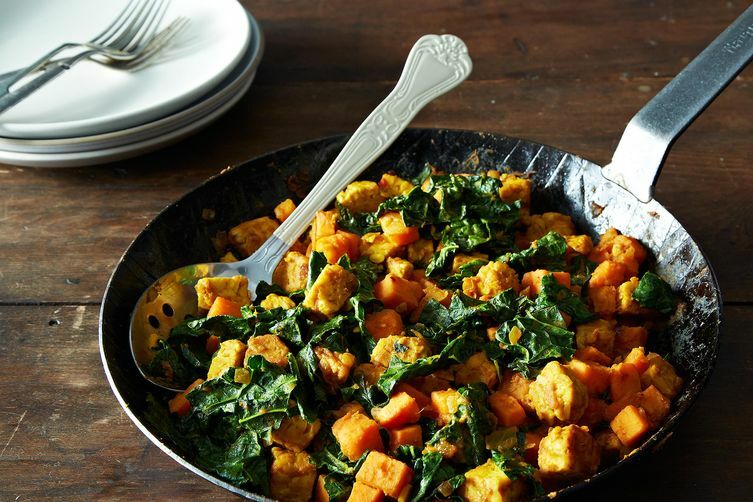 ), I have a winning idea for you: sweet potato and tempeh hash with kale. 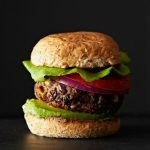 This recipe, which I’m sharing for a special Thanksgiving edition of The New Veganism, is intended to help you use up your leftovers from the big meal. 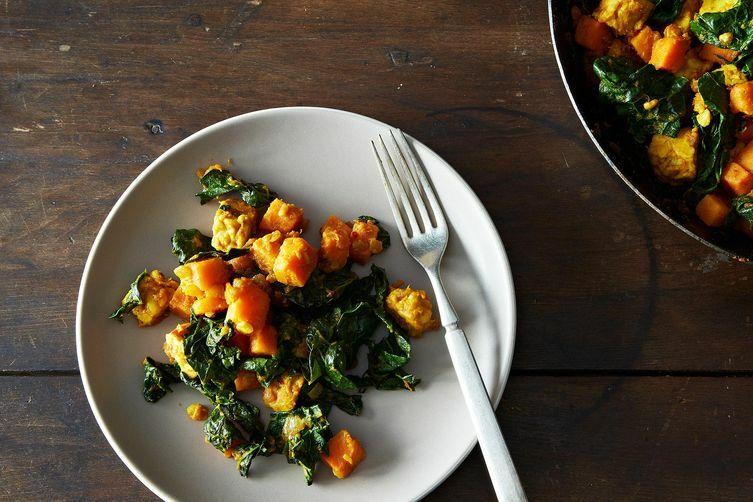 I’ve got some suggestions–namely, the sweet potato and the kale–but you can definitely use leftover mashed potatoes, brussels sprouts, green beans, or any other veggies that need some love in this easy skillet dish. 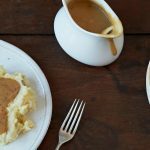 No matter what, you’ll end up with a breakfast dish that’s hearty, satisfying, and healthy. 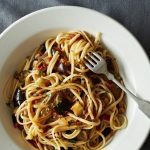 Head on over to Food52 for the column and the recipe today! I am always profoundly thankful for the blessings in my life, but I appreciate holidays because they give me space in which to be more conscious and more thoughtful than usual. Today, I am so grateful for the incredible loved ones in my life, for my health, for an open future, and, dear readers, for each and every single one of you. This sounds delicious; can’t wait to try it! Thanks for sharing. No Thanksgiving so no leftovers here but I’d be more than happy to make this dish from scratch 😀 Exactly the food I like to eat. Leftovers are definitely my favorite thing about Thanksgiving. And there’s something about having leftovers for breakfast that feels especially subversive, isn’t there? 🙂 I love this! Thanks for your informative blog, I found it extremely helpful.